Mahasivarathri in February-March, Tirukarthikai in November-December and Margazhi Tiruvadhirai in December-January are the festivals celebrated in the temple. 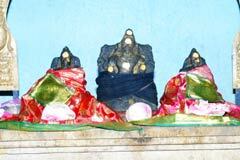 Sani Baghwan (planet Saturn) graces in the temple facing south with His consorts Mandha and Jeshta in wedding form. The temple is open from 4.00 a.m. to 7.00 p.m. continuously. 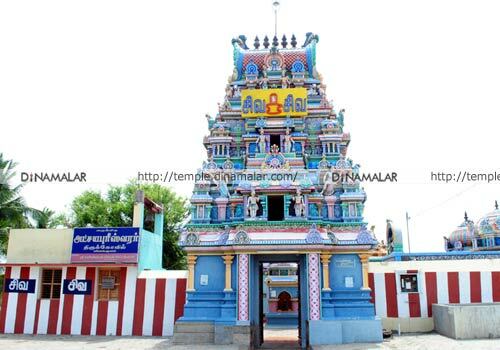 Sri Akshaya Pureeswarar Temple,Vilankulam – 614 612. 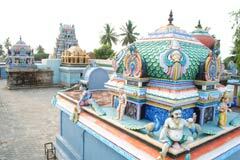 Peravurani Taluk, Thanjavur District. Poosam starrers are advised to perform abishek to Sani Bhagwan (planet Saturn) with eight objects as oil, panchamirtham, punugu a cosmetic paste, green coconut, milk, curd etc. They also have to circumambulate the shrine eight times. Vilankulam Saneeswara is sought by those facing debt burdens, distressed, frequent health problems, the handicapped and facing obstacles in marriage proposals. 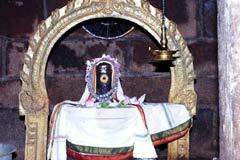 He is gracing in the temple with His consorts Jeshta and Mandha in wedding form in the name of Aadhibruhat Saneeswara. He is all merciful in the temple. 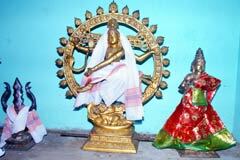 Mother Abhivruddhi Nayaki (mother granting all progress in life) ensures all development in life. There is no Navagraha shrine (shrine for 9 planets together) in the temple. Instead, Sani Baghwan and His Father Sun grace from their respective shrines. Lord Vinayaka graces facing west. As He ensures success (Vijaya) to His devotees, He is praised as Vijaya Vinayaka. 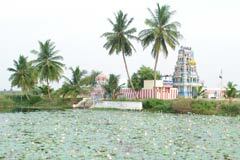 Combined with the names of Vila tree and the Gnanavari spring, the place came to be known as Vilankulam. Kulam-spring. A Siddha, Poosa Marungar by name, living in Saneeswara Loka (world), used to spill the Sanivari theertha on the springs of Shiva temples. 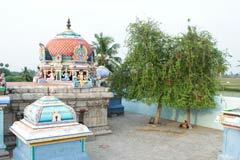 Saneeswara has importance in such temples. The Siddha has a rare power of visiting the world of Sun and the world of the Pithrus (departed ancestors) and is the Guru of the crows. 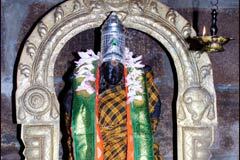 It is believed that the Siddha is visiting the temple for worship daily. 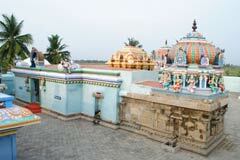 Vilankulam Vilakku is 30 km from Pattukottai on the Rameswaram East Coast road. 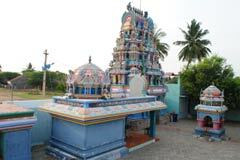 The temple is 2 km from Vilankulam Vilakku. Vilankulam can also be reached from Pudukkottai via Peravoorani. Hotel Shivalaya: +91-4322-221 860, 220 956.